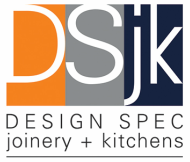 Design Spec Joinery and Kitchens is a local family owned and operated business. Previously known as Dayal Singh Joinery, which has been Established for over 100 years servicing the North Coast, Northern Tablelands of NSW and Southern Queensland. We provide a personalised service and quality craftsmanship and have an amazing team of long term employees that are experienced in catering to all your building or renovating needs. Paul, Mark & Ken will help with expert advice to achieve the results the customer desires. Bi-fold, French & Sliding doors and windows, Double Hung, casement and louver windows. Staircases - Timber stairs are hand made to specifications. Timber is supplied and machined to match existing mouldings, architrave or sills etc. Hardware E.g. Handles, Hinges, locks & runners. etc. Huge range of Laminex options or if you prefer stone, we have samples displayed in our showroom.